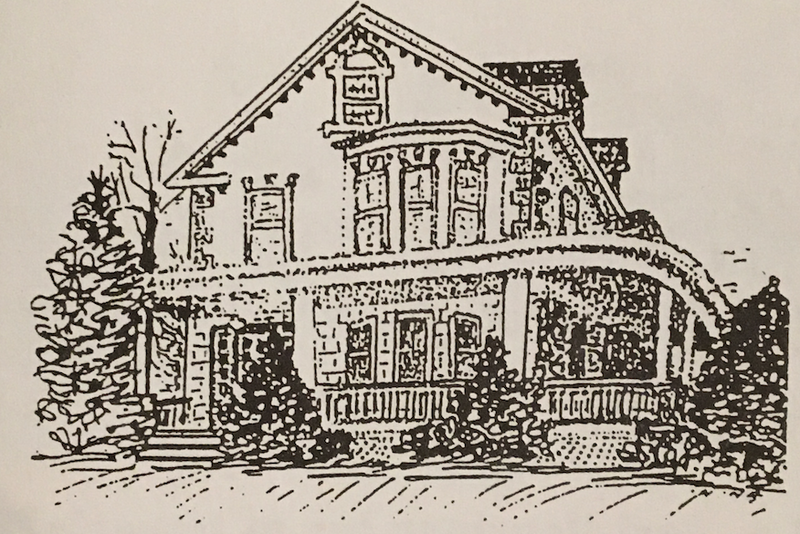 The Governor Wolf Historical Society will open six private historic homes and four early buildings for the 38th Annual Christmas House Tour on Saturday, December 1. The homes will be open from 10 a.m. until 4 p.m. This year’s theme is “Keep a Candle in the Window,” a German custom that welcomed travelers. The Home News will feature one of the homes each week until tour day. This Colonial revival is the best of both worlds. Circa 1907, it has its dormers, dentals at the eaves, and large colonial posts supporting a sweeping wrap around veranda. Notice the sidelights at the front door with ribbons, dogwood and gems. The huge front entrance door has a beveled glass window and impressive brass doorknob. The ceilings have been restored with new crown moldings and plaster replacing the suspended blocks that were there when the owners moved in. One highlight is the 6×10 stained glass window with a fan light in a crest, fleur-de-lis and scroll design on the landing of the front staircase. The owners contemporized the pocket doors in the dining room with mirrored panels to reflect the crystal chandelier. On the same day, the Annual Historic Christmas Family Day will fill the campus from 9 a.m. to 4 p.m. The museum hosts an exhibit of early lighting with expert Wayne Lauciusto. Historic craftsmen will demonstrate, the 153 Civil War Coddington Reenactors will be encamped. Taste and watch hearth cooking, spinning and weaving, iron crafts, early powder horns and flintlocks, and more, such as pony rides and arts and crafts for children. Make this a yearly family destination. There is no parking or admission fee. A free-will donation may be dropped into our “Preservation Jars” if you wish. The Daily Grind in the Schoolhouse Café will offer food to take with you on the tour, or to enjoy there. There will also be quality crafters selling their wares and fresh greens. In addition to selling fresh wreaths and swags this year, the historical society will be holding a Fresh Wreath Making Class- Monday, November 26, 9 a.m. until noon. Complete a large fresh wreath with a bow of your choice for $25. Instructor is Linda Kortz, past president of the Moorestown Garden Club and former designer for Schantz Greenhouse. Sign-up by calling 610-837-7078 and leaving a message, or while visiting the campus. On Saturday, Nov. 10 the ticket books will go on sale – $25 advance and $30 day of tour. Booklets will be sold at S. Seem Antiques on Chestnut St. in Bath, Miller Ace Hardware on Rt. 329, Curt’s Cyclery in Nazareth, Bath Drug on Rt. 512 and Snow Goose Gallery at 470 Main St, Bethlehem.